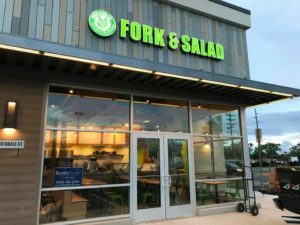 Fork & Salad, which opened in Kīhei last summer, is already opening another location. 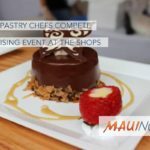 The second restaurant will be across from the Target store in the Pu’unene Shopping Center on Ho’okele Street in Kahului. The state-of-the-art, custom-designed space will provide indoor seating for more than 30 guests, with dine-in, take-out and pick-up options. 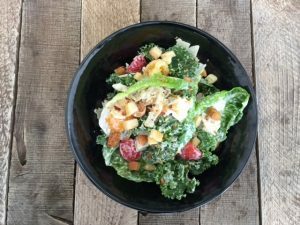 The farm-to-table eatery opened in July of 2016 in Azeka Mauka. See our video here. 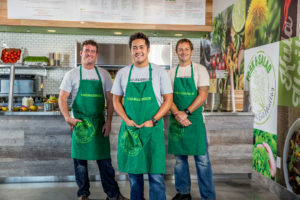 Touting a mission of #EatLocalEatHealthy, Fork & Salad has since been named Maui’s Best New Restaurant for 2017, won the Friend of Agriculture Award and helped to revitalize Hawai’i’s farm industry through local ingredient sourcing, community and school partnerships, and the Know Your Farmers video series. 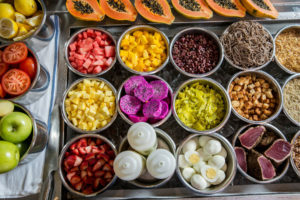 The Kahului location will offer the same features that customers know from Kīhei, including 50+ fresh ingredients; fast, friendly service, signature or build-your-own salads, sandwiches and soups; gluten-free options; combo deals; keiki menu; kombucha on draft; and virtual ordering via Fork & Salad’s mobile app. 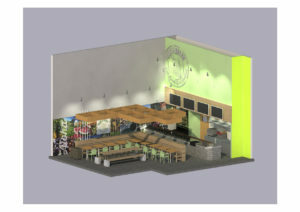 Site drawings for Fork & Salad’s new location in Central Maui. Courtesy image. 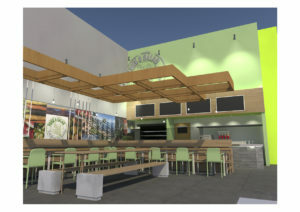 Initial renders for Fork & Salad in Kahului. Courtesy image. 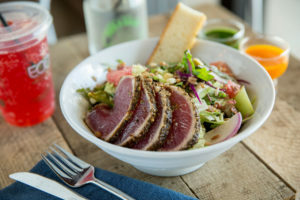 Signature Salad with Pastrami-Seared Ahi from Fork & Salad Maui.Courtesy image. 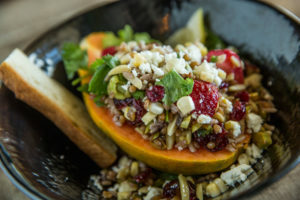 Kumu Farms Papaya Salad from Fork & Salad. Courtesy image. 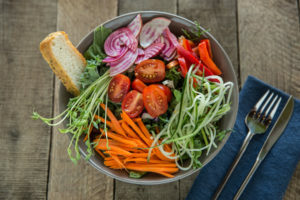 Garden Lo-Cal Salad from Fork & Salad. Courtesy image. 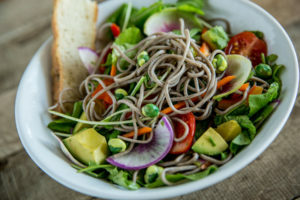 Buckwheat Noodle Salad at Fork & Salad. Courtesy image. 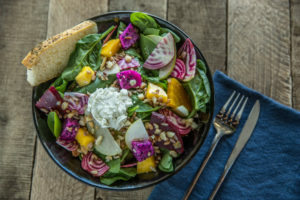 Beet & Goat Cheese Salad from Fork & Salad. Courtesy image. 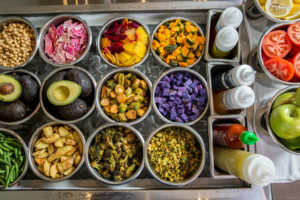 Fresh ingredients at Fork & Salad. Courtesy image. 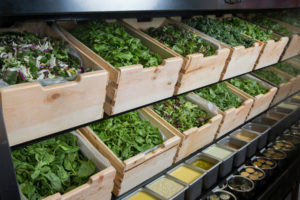 Variety of local greens at Fork & Salad. Courtesy image. 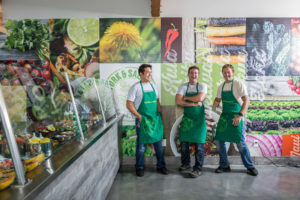 Fork & Salad chefs/co-owners Travis Morrin, Jaron Blosser & Cody Christopher. Courtesy image. Fork & Salad chefs/co-owners Cody Christopher, Travis Morrin & Jaron Blosser. Courtesy image. 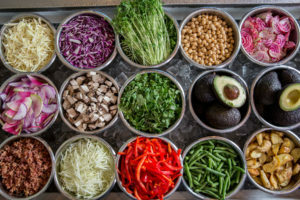 Owners Jaron Blosser, Travis Morrin and Cody Christopher, who also own Three’s Bar & Grill along with Three’s Catering, are planning to enhance the menu with more signature salads, steak as an added protein, and infused house-made lemonades and iced teas. 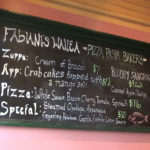 This centrally-located eatery is currently in the design phase, with building to begin soon and a grand opening to follow. Owners aim to be open at this site by late Spring of 2018. 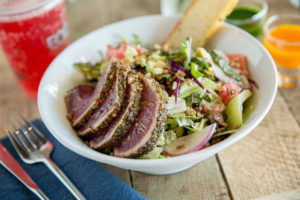 The trio adds that Fork & Salad also has substantial plans to expand the brand beyond Maui in the near future, and will keep the public updated as details are released.